Security software vendor, McAfee, has set its sights well beyond its legacy endpoint focus, and is aiming for the cloud with its move to acquire cloud security specialist, Skyhigh Networks. The companies announced on 27 November that they had struck a definitive agreement to combine their businesses for an undisclosed amount. The move comes roughly eight months after McAfee was spun out from its former parent company, Intel, which divested its majority holdings in the cyber security vendor to investment firm, TPG, for US$3.1 billion. Skyhigh Networks’ CEO, Rajiv Gupta, will join the McAfee leadership team to run the vendor’s new cloud business unit as part of the proposed deal. Skyhigh’s existing organisational structure, meanwhile, is expected to remain generally intact. At the same time, McAfee said that Skyhigh will benefit from its global scale and integrations to McAfee’s broad and deep product portfolio. For McAfee CEO, Christopher Young, the acquisition of Skyhigh, which is yet to meet regulatory approvals and satisfy various closing conditions, represents a chance for the company to position itself as the provider of the “cybersecurity architecture of the future”, with endpoint and cloud as critical control points. 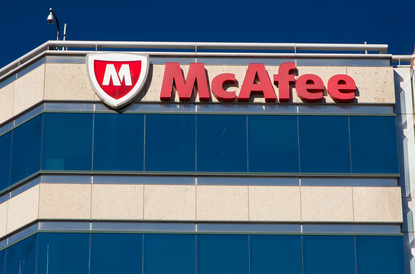 “Nearly eight months ago, McAfee became one of the world’s largest pure-play cybersecurity companies. At that time, I committed to our customers, partners and employees that we would be a company focused on innovation and growth with a singular pledge of keeping the world safe from cyber threats,” Young said in a blog post. “Today, we continue the journey by announcing that McAfee will acquire Skyhigh Networks, the worldwide leader in the cloud access security broker (CASB) market segment. Skyhigh is an ideal complement to McAfee’s strategy – one focused on building and optimising mission-critical cybersecurity environments for the future. “Cloud security has historically been an afterthought of, or impediment to, cloud adoption. With customers’ most valuable asset, data, increasingly finding residence in the cloud, it’s time security move to the forefront,” he said. According to Young, Skyhigh Networks envisions a world where the cloud is not only secure, but the most secure environment for business. “McAfee is placing our bets on where we believe those environments are best modernised – where endpoint and cloud serve as the architectural control points linked by the security operations centre with actionable threat intelligence, analytics and orchestration, and enabled by an open ecosystem,” he said.